If you're traveling deep into Baja, you're supposed to have the proper visa. In this case, since we'll be leaving the state of Northern Baja and will be in Baja for longer than 72 hours, we needed a tourist visa also known as a tourist card. Usually, you'll go through the hassle of getting the thing and then never get asked for it the whole time you're there. And then once in awhile, you'll roll up to a checkpoint and the officials will demand your papers. If you don't have them you'll get even more hassled and fined and then you'll be told that you have to get the visa at the next city and then pay for it at the nearest bank. The fine is about a hundred dollars making the whole visa-ordeal cost you about $125. It's not a crazy huge fine and jail time but it can be a stressful situation and you never one give the officials any legit reason to shake you down. So I bit the bullet and walked across the border and handled the paperwork. It's easy at the Otay Mesa crossing; you walk over and ten feet past the border is the white Immigracion office. Always bring your own pen- they detest loaning out their ballpoint. I filled the papers out and got my visa officially stamped but would have to pay the twenty five dollar fee at a later date. Here's the problem, since the Otay crossing doesn't have a bank branch on hand like the much busier San Ysidro crossing I'd have to pay somewhere else (we used to handle this at San Ysidro but since they built a new crossing area, we've had mixed reports of being able to get the paperwork done there). In line to walk across the border back into the U.S. - halfway there... wishing I skipped that large cup of coffee. How's this for a taste of Mexican logic: I was told that I can either pay the fee in Todos Santos when I get there or I could wait and just pay the fee once I got back to the border at any bank in Tijuana. Huh? Then why pay the thing at all? I don't quite understand it all but I'll pay the fee in Todos once I'm down there since it's a quiet, nice bank and I could probably withdraw some pesos there as well. We did learn something too. If you already have a visa and it will expire while you're traveling down there, just throw it away before you ask for another one. If you don't, they might just tell you to travel with it and then to find a place to re-apply for another one while you're down there. This might be a huge hassle if you can't find an Immigracion office or if you just don't want to deal with the hassle while you're on the move. My buddy Kiwi was told his whole family would have to travel on his soon to expire visas and that he would not be issued replacements at the moment. This would be an inconvenience for him- so we did some quick thinking, stepped outside of the office, tore up the visas and caught a cab to the airport. At the airport, Kiwi was able to easily get visas for his whole family, pay for them and be on his merry way in under a half an hour. In all, it was a simple process. The biggest bummer was crossing back into the U.S., especially since it was a Sunday (I'm no rookie, I knew it would be nasty on a Sunday but we had no other free days to get the deed done). Even on foot, waiting in line it was an hour and a half wait to get to the other side. A couple of words of advice for that: 1. Hit the head before you hit the border, there are no bathrooms and it can be a long wait. 2. 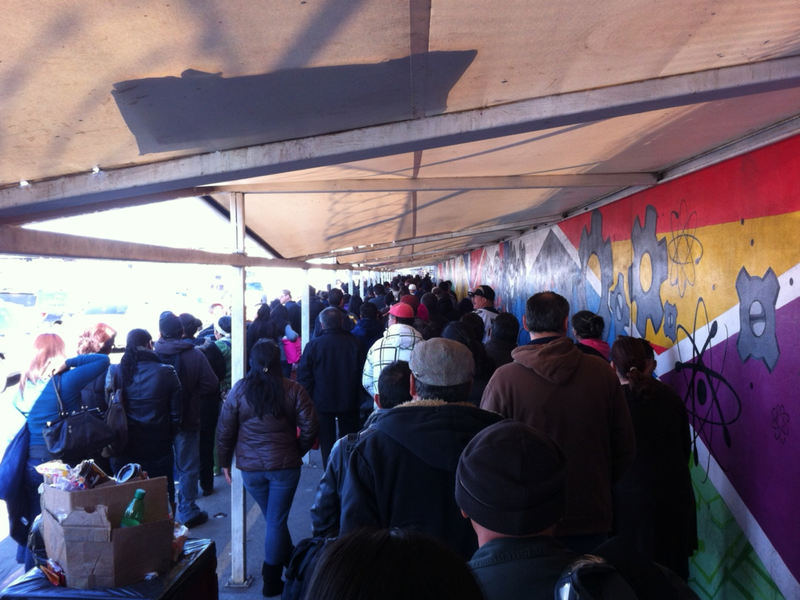 Apply for the Sentri card and it's a quick stroll to the front of the line. I'm out of here in a couple days, the preparations continue- check back for updates! We had a 2 hour wait in.... TECATE the other day! Have a great trip! Oh, so very true. I have loved "living" in many Tourist places that I visited as a tourist but, as you say, never really had to wonder about the daily routines. It was all just fun and that, definitely, colored my impressions.